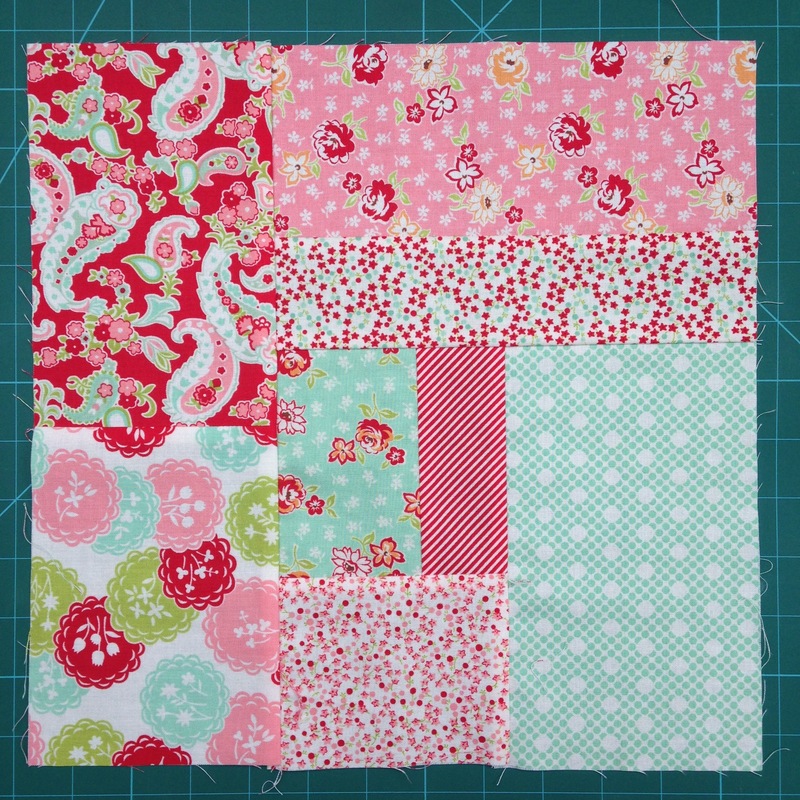 Over the past few months I've been working on my own design for a patchwork quilt. I adore patchwork quilts and love working with and selecting patterned fabric. 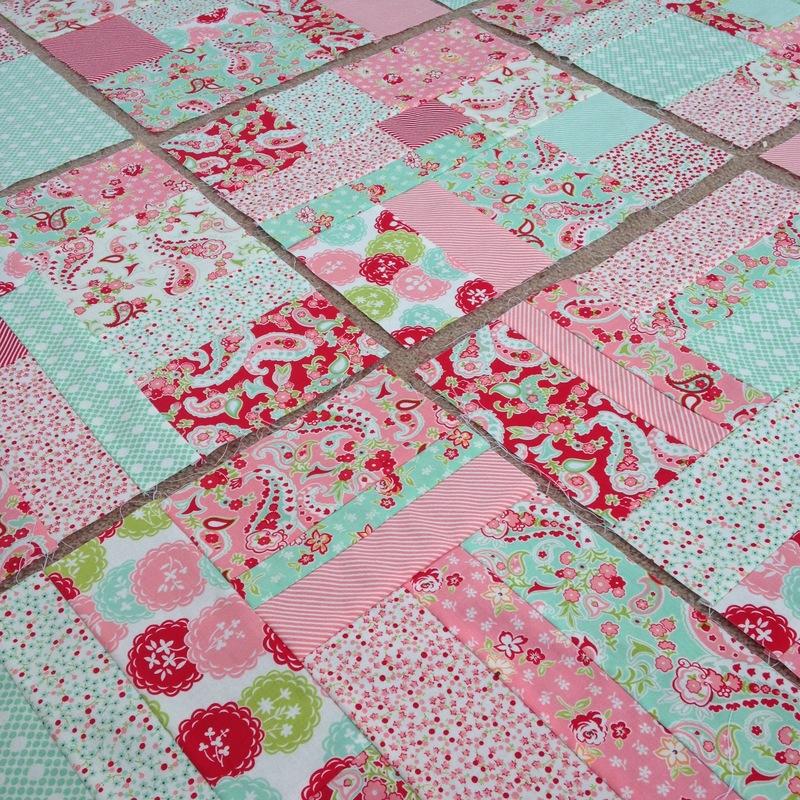 Making my own patchwork quilt for our home has been on my wish list for some time now. 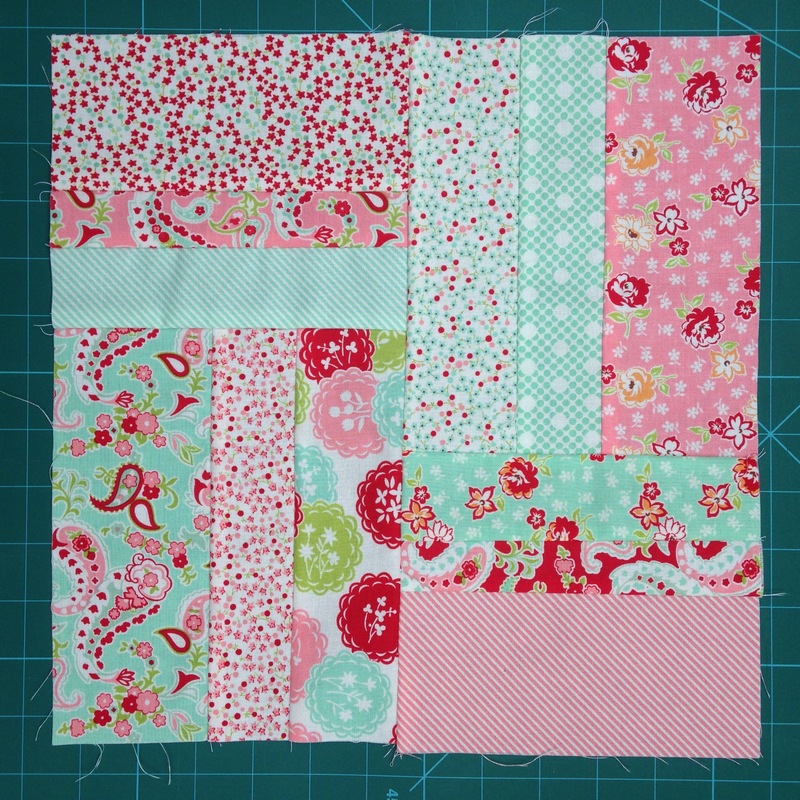 I have made basic patchwork quilts for other people and really enjoyed the process. I wanted to make a more complex patchwork quilt this time and have a sewing project that I have put my heart and soul into that is completely unique and something that would look great in our home. I'm in the early stages of the quilt project and have so far designed three patchwork quilt blocks, each measuring 12 inches by 12 inches as a finished size. I'm not quite sure what the next phase of this project will be, I may continue to design a few more blocks or I may create a design that works around a central block or design. I want to keep it simple so that I finish the project but I'd love to experiment a little and make it a handmade project that I can be very proud of. I'm using the Scrumptious fabric range by Bonnie and Camille and have selected the pink, red and mint colours out of the fabric range. I'm taking time to gradually work on this project to create the quilt blocks, sometimes cutting the fabric in a different sitting than the sewing. 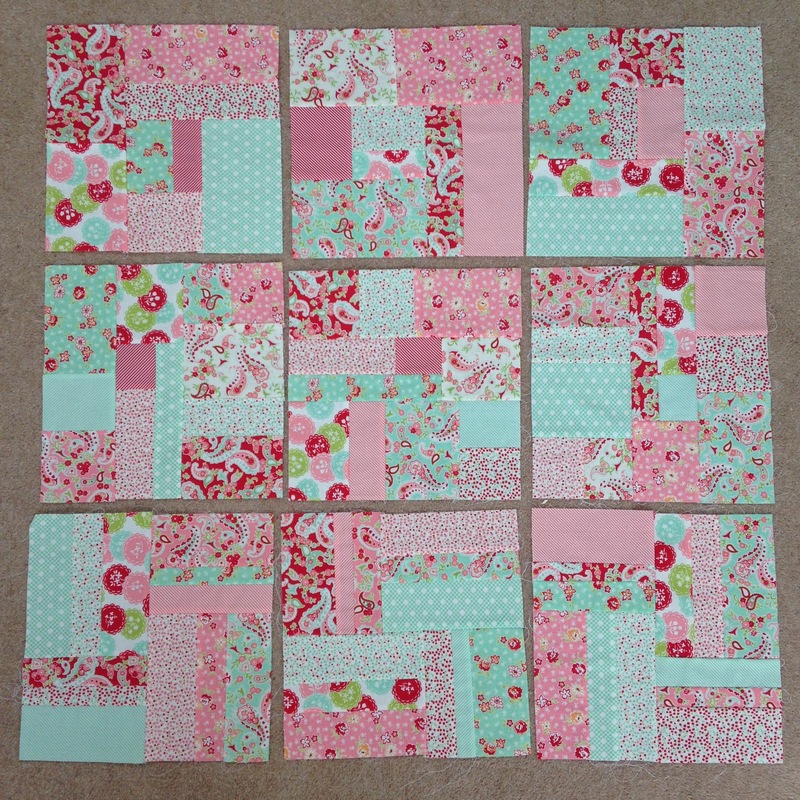 My favourite part is the sewing and piecing together the design and so far I have made nine 12 inch blocks. Here are three designs of blocks. I have made three of each design using a mixture of fabrics so that each block looks different. 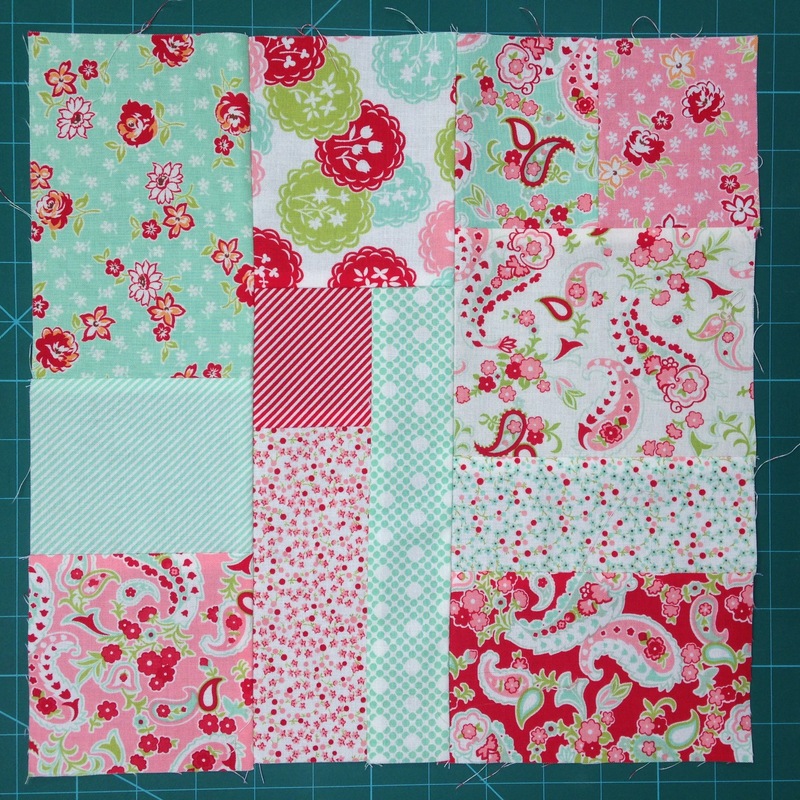 I have high hopes that this patchwork quilt will be completed by the end of this year. There is a long way to go but I would like to snuggle under this quilt during the winter and have it out in our home to use. I'll keep you updated with my progress.